Learn about installing Tiffen Dfx 4… the standalone, the video plug-ins and the photo plug-ins. The video also walks through activating the software. Arvid Schneider posted this great 2 part tutorial about setting up your render settings in VRay to get the most of its render passes system. Part 1 will show you how to uses the Extra Tex passes Node to create custom render layers, for instance an ambient occlusion pass built in the multichannel exr file. Furthermore it will explain why passes are a must have in todays 3D and VFX (Visual Effects) scene. Part 2 will guide you through the actual compositing of the rendered passes. It shows you how to set up a simple Node tree for simple composting, and also a more advanced node tree for maximum customizability. In the end you will be shown how the final rendered scene was set up, and what tricks and tips were used. 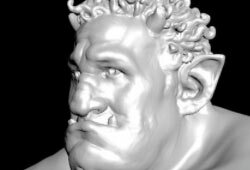 Ian Failes at fxguide.com put up an awesome tutorial on how to create a big, friendly, lovable ogre in The Foundry Nuke / Mari. Jonas Jorgensen has a great tutorial explaining how to affect only specific geometry by using lights connected to the same scene within NUKE. In two video tutorials, Frank Rueter explains all about Gizmos. Steve Wright explains how to pull keys using the IBK, A Keyer designed to cope with non-uniform blue or greenscreen backgrounds. In a series of three tutorials, Steve Wright explains how to pull keys with KEYLIGHT. Frank Rueter looks at the SliceTool gizmo and Grade node for colour correction in NUKE in this two part series (13min 09sec). Download the assets used in this tutorial too. Part 2 of an 11 part Step Up to NUKE training series by Lee Lanier, VFX Trainer and Author of Digital Compositing with NUKE. Lee moves on from the basic interface and shows how to import footage and gives an overview of NUKE’s colourspace. Covering: NUKE’s read node, browsing, connecting to a viewer node and the 32-bit floating point space. Part 1 of an 11 part Step Up to NUKE training series by Lee Lanier, VFX Trainer and Author of Digital Compositing with NUKE. Lee introduces The Foundry’s NUKE and showcases how easy to use and powerful it can be for artists used to working with After Effects. 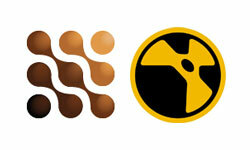 Covering: NUKE’s viewer, node graph, properties panel, toolbar and main menu bar.